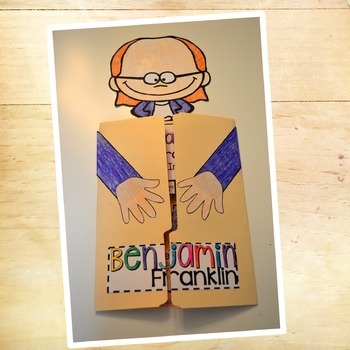 Want to add a little something special to your Benjamin Franklin unit? 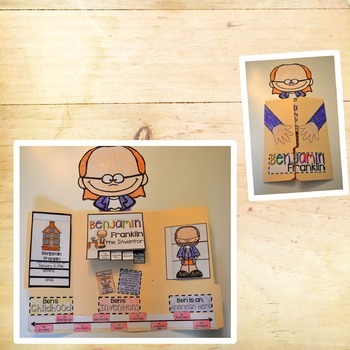 This Benjamin Franklin Lapbook is perfect for your lessons. The lap book covers childhood, inventor, and American Hero. There are three different interactive flip books and an interactive timeline. 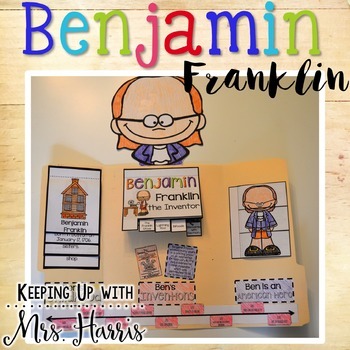 Students will put events from Ben Franklin's life in order and learn all about why he is known as an American Hero. Your students will amaze you with all they learn from this lap book. 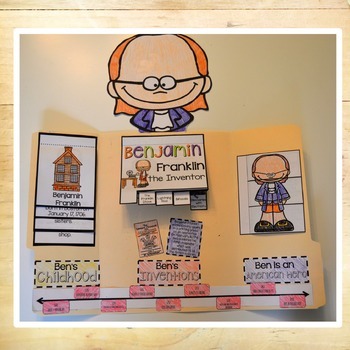 The lapbook has been updated to include a version for younger students (1st or 2nd grade) and a blank template so you can have students research and fill in the lapbook information for upper grades! Yay! Like this product and want to see more like it?